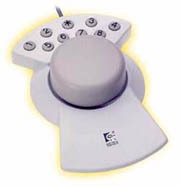 This package is a development package for Java to use Logitech Magellan (Space Mouse) on Java platforms. Please chceck the download site on SourceForge.net to get the package and the samples. To use the package, you have to install latest Java Communications API. You can get the packages from Sun’s Java site. This constructor creates an instance that is used to communicate with a Magellam device. Specify a number of the serial port into the device argument. You can use the platform independent defines Magellan.SERIAL1 or Magellan.SERIAL2. This method starts a thread that updates the sensor records. To get the valid records by getTranslation(), getRotation() and getButton(), you have to call the methods after you starts the thread using this method. This method stops a thread that is started by start(). This method retrieves a current translation infomation. 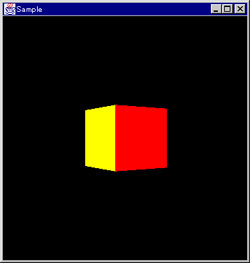 This method retrieves a current rotation infomation. For example, If you want to know whether the button1 is currently pressed …. are pressed, your viewpoint is reseted.